With medical marijuana legalized in more and more states and with some even legalizing recreational marijuana, people have been finding new ways of appreciating the herb. For those who aren’t fans of smoking or just want to try something a little different, cooking with cannabis is the way to go. 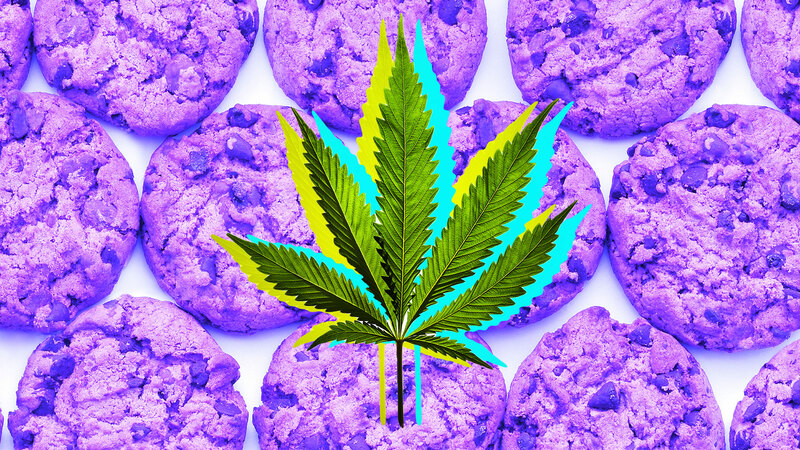 Before learning about ways to make marijuana your go-to herb in the kitchen, find out whether it’s legal in the state you’re in. Currently, medical marijuana is legal in 30 states and Washington, D.C., while eight states and the District of Columbia have legalized it for recreational use. Thirteen states, however, have decriminalization laws in effect, so make sure to know what the legalities are where you live first. Once you’ve figured out whether it’s kosher to cook with cannabis where you live, you need to decide how you’ll use it. You can certainly use the actual herb ground up, but when it comes to cooking, many are finding that using cannabis oil is the easiest way to go. While some people use cannabis for recreation, many use it for health reasons, which is why cannabis oil in particular is seeing a spike in popularity. People suffering from a range of health challenges — from PTSD to irritable bowel syndrome, arthritis, migraines, insomnia and more — have found benefits to using cannabis oil. Deborah Schatan, director of product development at CBD Guild — a California-based company that specializes in cannabis oil and extracts — offers up some tips for those interested in adding a different sort of herb to their cooking. If you’re uncomfortable with the high that marijuana can cause, take care to find a cannabis oil that is high in CBD and low in THC, like Care By Design’s 18:1 cannabis oil extract. Some conditions and individuals respond better to high-CBD products, others respond better to high THC, so you may wish to experiment with gradually more THC. You’ll also want to look at how the cannabis oil you’re buying was extracted. Some product makers use toxic solvents that can leave a residue, which is not healthy for anyone, but especially not for someone who’s immunocompromised. For more of a head high, any sativa strain or hybrid will work. For more of a body high or “stoned” feeling, use an indica strain hybrid. Your recipe will need to contain either a fat or an oil-based ingredient that can be infused with the cannabis concentrate. Such fats include butter, ghee, lard, shortening and other vegetable or nut oils. If your recipe does not list a “fat” ingredient, you can dilute the cannabis concentrate in a small amount of your favorite spirits: vodka, rum, cognac, etc. Note: Wine and beer are water-based and will not work well as a carrier for cannabis oil. Depending on the recipe, you might want to adjust the sweetening and flavoring/spice measurements to counter the inherent bitterness of the cannabis oil. As long as the infused oil or fat is not used directly on high heat, such as in a hot pan or skillet for frying, the potency should hold or only slightly diminish. Always heat your fat or oil to the temperature a hot beverage such as coffee or tea is served at — 160 degrees F (71.1 degrees C) to 185 degrees F (85 degrees C). Alcohol does not need to be preheated. More: Does Marijuana Use Impact Your Fertility? Schatan also cautions to always choose a lab-tested concentrate so you can easily and safely measure your active ingredient to suit your individual dosage and the volume of the recipe. And the biggest tip of all? Remember to start low and go slow until your individual dosage is known.